When it comes to style, health and beauty, the UK tends to be full of trend starters. Whether it is the latest weight loss craze or an unusual fashion unveiled, a trend can be easily started. So when our favourite celebrity names started going to luxury holiday destinations for their cosmetic surgery needs, we felt as if we have to follow. Although there are many debates circling whether cosmetic surgery should be available with such ease, there are currently no considerations for changing any legalisations. However, citizens should be warned about where they go for their cosmetic surgery needs. Even though we are seeing famous stars jetting off abroad to get their surgery done, it does not mean you should follow and do the same. At the start of 2011, UK cosmetic surgeons issued a warning of the dangers of having procedures done abroad after the death of a woman from London in the USA. 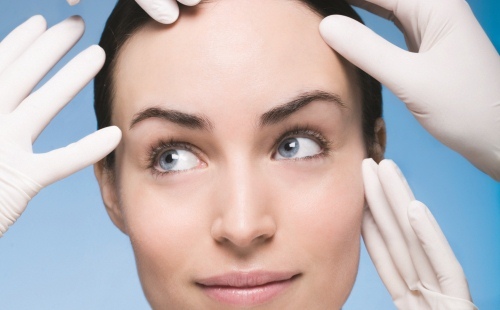 There are two major differences between having cosmetic surgery done in the UK, and going abroad. These two differences are the cost, and the level of expertise performing the surgery. For a surgeon to perform a procedure here in the UK, he will need qualifications and a certificate stating he is able to perform surgeries. However, due to the different health care laws overseas, you may end up choosing a surgeon who is not qualified to complete surgery procedures. Having surgery abroad can be much cheaper, but you may be putting yourself at risk of paying a bigger price with your life. Fatalities from having cosmetic surgery overseas is rather rare, however it does still happen. A more common occurrence is for surgery procedures to go wrong overseas, this can leave the patient with disfigurements, permanent scarring, abnormalities and blood poisoning. Those in professional healthcare in the UK are asking citizens to think realistically about the chances they are willing to make. When opting to have surgery abroad, it is unlikely that it is going to be a luxurious experience; in fact, it is going to be pretty much the complete opposite. The famous stars that jet off to exotic locations will be spending hundreds of thousands on the complete experience, which is something that you are unlikely going to be able to afford. Instead of having a caring surgeon who will talk through the procedure in detail and with care, it is more likely you will get to see your surgeon in a five minute rush before your big op. Instead of going to a pristine, immaculate hospital for the procedure, it is more likely that the op will take place in a grubby hotel room. Instead of rejuvenating with the advised post-op aftercare in a 5* spa hotel for a week after the procedure, it is highly unlikely that you will be offered any aftercare at all. Rather than putting your life in danger, it is highly recommended that you stay in the UK for cosmetic surgery. If you believe the UK is not the right destination for you, it is advised that you should seek professional advice on how to choose the right surgeon overseas. Do your research so you do not put yourself in danger. Kerry works on behalf of Mercian Surgical Ltd who provides surgical instruments to professional surgeons. She believes going for cosmetic surgery shouldn’t be a decision that you take light heartedly.